Owning a race horse is an exciting and rewarding experience. 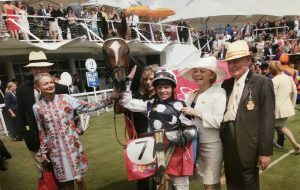 There are many ways in which you can be involved with one of our racehorses. We encourage our owners to get involved in every aspect of owning a race horse. We provide our owners with weekly correspondence detailing progress and any other vital information and monthly video training reports. Every Saturday at the Coombelands Stables we open our doors to our owners to come and see the horses in training and enjoy breakfast with the team at the stables. With the assistance of our bloodstock agents, Peter and Ross Doyle, we specialise in purchasing yearlings and horses in training for flat racing. The opportunity for owners to recover the VAT on both the purchase price of the horse and the training fees has represented a considerable saving. 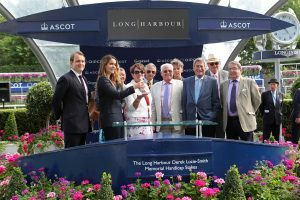 Whether you are looking for sole ownership, a partnership in the owning of a racehorse, corporate ownership or ownership through a syndicate, there are a range of ownership options available to you. To arrange a visit to see our horses in training, please contact us and we will be happy to discuss ownership options with you and can offer any information and advice that you may require. This affords the owner total control and inevitably gives the individual a closer involvement with the horse and the race plans for each season. The horse will always run in the owner’s name and racing silks and the sole owner will receive all prize money. Partnerships are ideal for a group of friends as they can be of between two and twenty people and members can become registered owners in their own right. Their horse can either run in a partnership name or the name of one of the partners. We currently run The Coombelands Racing Syndicate, The Warrior Partnership, Mr Bossy Boots Partnership as well as several partnerships in quarter and half share ownership. Owning a racehorse can offer positive benefits for a business. 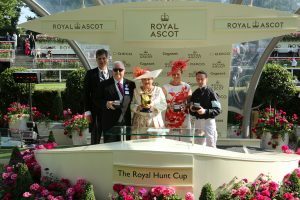 To see your horse win a race is truly the ultimate thrill and with the opportunity to win prize money, the privileges and the benefits of owning a racehorse make corporate ownership a lucrative investment opportunity, in addition the initial costs may be allowable against tax. Company ownership can generate a sense of team spirit, ensure involvement amongst staff members and can be a powerful promotional tool. Providing the horse is not already named, you may wish to base the name of your horse on that of your company or a product that the company manufactures thereby ensuring effective and repetitive brand exposure. A morning on the gallops or a day out at the races to see your horse run provides an opportunity for client entertainment and is an effective method of developing client relationships. You can lease a horse from an existing owner or breeder. The horse will run in your name and you will be liable for all training fees and entry fees but you will also receive an agreed percentage of any prize money won. Lease terms vary but it is sometimes possible to negotiate an option whereby you can purchase the horse at any time during the agreed lease term for a previously fixed valuation.